Direct mail achieves a 3.7% response rate with a house list, and a 1% response rate with a prospect list. Cost-per-acquisition for direct mail is very competitive. 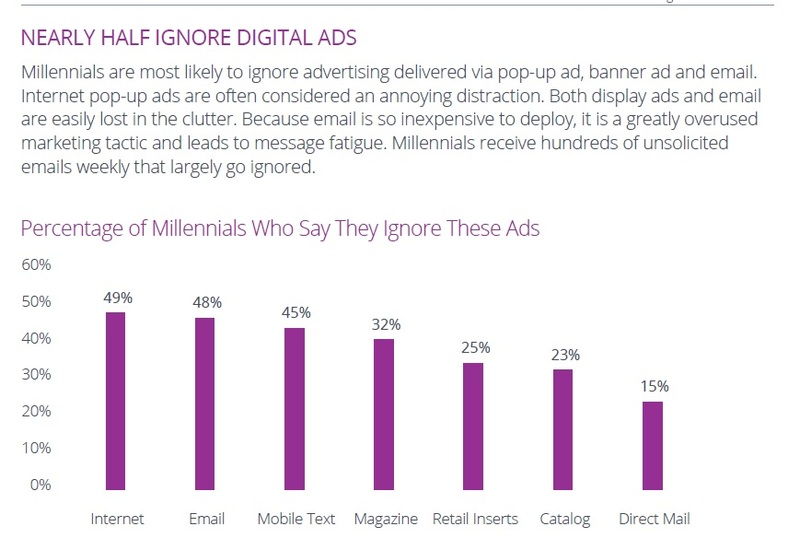 Second, Most Millennials ignore digital ads....more proof that you need an integrated strategy. ​BUT THE PROOF THAT INSERTS DO WORK, DOESN'T END THERE. 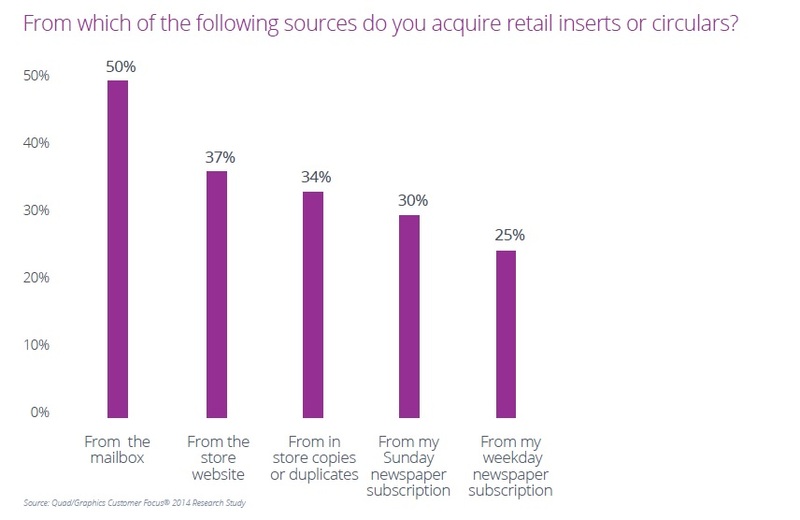 And, most important to advertisers, newspaper inserts drive action. 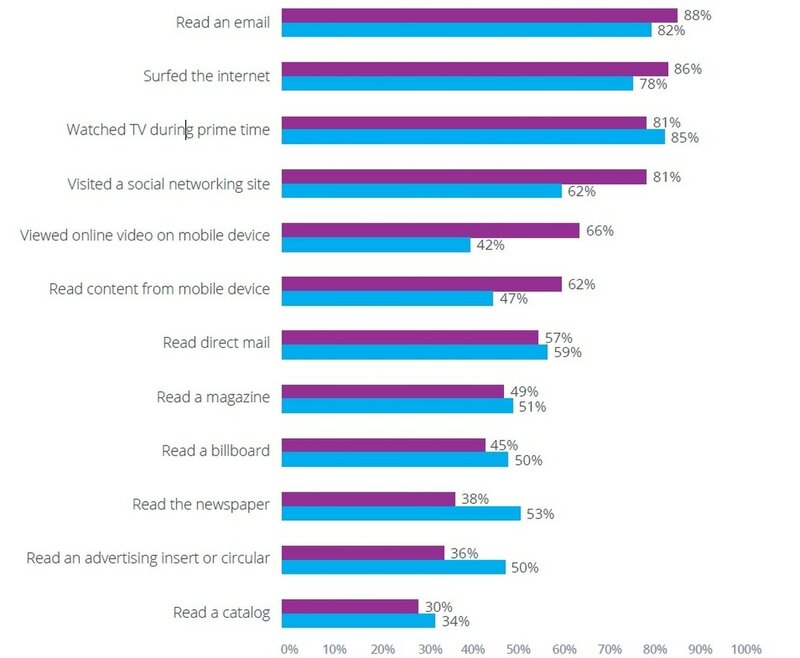 Nine out of ten newspaper readers report that they take one or more of a broad range of specific actions after reading or looking at inserts. ​I could literally bore you to death with statistics and research; So I spent the weekend doing that for you and pulled out the most relevant, for this quick read. ​BUT, I am NOT extolling using newspapers as your primary delivery vehicle. Subscription rates to newspapers are dying a slow death, except the Sunday editions where people look for your inserted promotions. 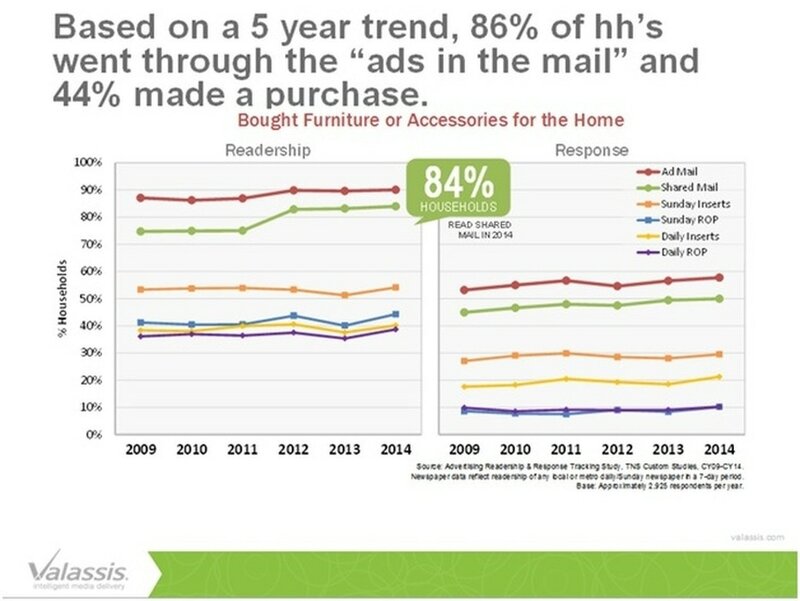 Additionally, in the Wall Street Journal, they also substantiated "
﻿﻿the good news that newspaper inserts drove more retail shoppers than digital ads and are, without a doubt, the most powerful drive-to-retail media available to marketers﻿﻿". So, how do you get started to take advantage of a fully integrated selling strategy with this information? Knowledge is power and information creates knowledge. Fine-tune what you know and then put it to good use by repeating this process over and over. REMEMBER, "Water dripping on a stone leaves a mark." 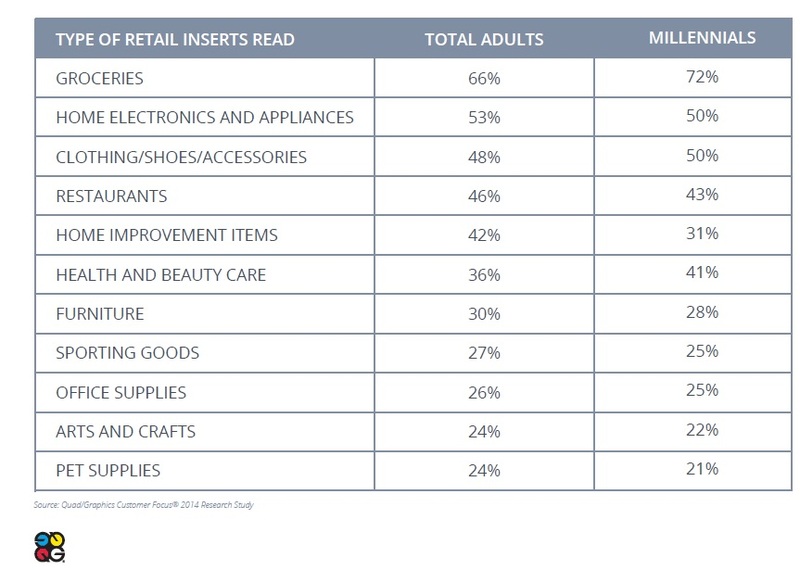 In-store advertising was present for 37.8% of products purchased.